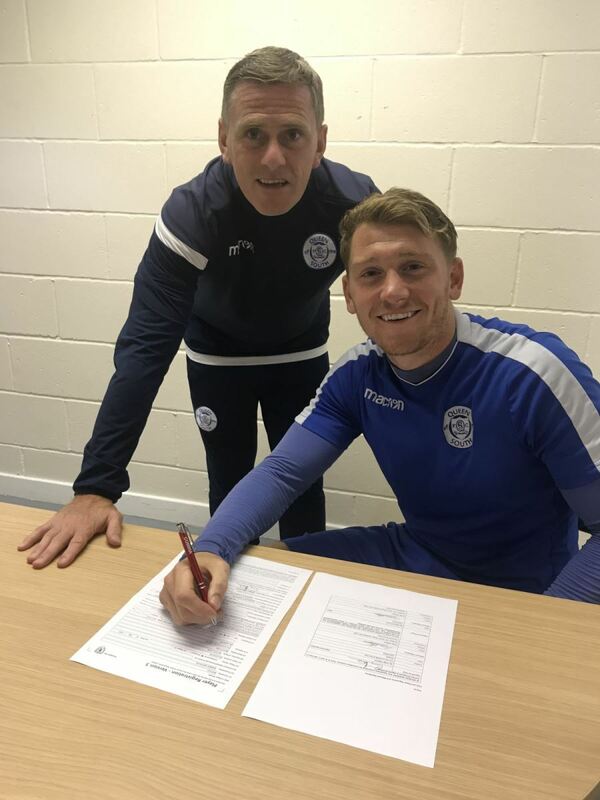 After signing Callum Semple this morning Gary Naysmith has further strengthened his defence this afternoon with the signing of Michael Doyle. The former Morton man can play anywhere along the back line and indeed also had a spell at right midfield in our recent friendly with Hearts. He has impressed during pre-season. The manager said, "I am delighted that I have eventually managed to bring Michael to the club. He is a player that has always impressed me when he lined up against us. I actually met Michael last summer to try to convince him to join us but he decided to stay at Morton for another season. Once I knew he was leaving Morton this summer I got back in touch with him and offered him training facilities. He has trained with us for the last week or so and has also featured in our last two pre season matches where he has impressed in both games in different positions. His versatility will be very important as the season progresses, as will his experience of playing in the Championship. He has already settled in well in the changing room and I am sure he will be a big player for us in the season ahead." "I must also thanks the Chairman and Board of Directors for pushing through the deals for Michael, Callum, Dean and Charlie in the last two days." With no international clearance concerns we expect Michael to go straight into the squad for tomorrow's cup tie against Stranraer. He will take squad number 6.